Congress is in recess and Doug’s parents, Buffy and Winston Hollingsworth, are in town for a meeting of the Mayflower Society. They have invited Kit and Doug to join them at the Continental Club for a couple of days in hopes of getting a firm wedding date set and to get started planning the expected high society event. Buffy is the one worried about the wedding, Winston’s mind is on becoming the next president of the Mayflower Society. 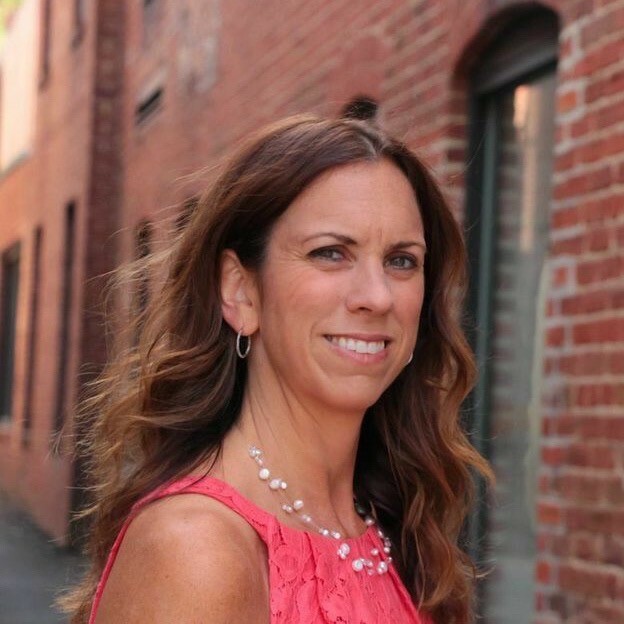 Wedding plans take a backseat when the current Mayflower Society president, Grayson Bancroft’s, body is found by Kit before she heads out for her morning run. Police check all the security cameras and they see no one coming in or going out of any of the club exits. That means the killer has to be someone staying at the club, like Winston Hollingsworth. He wanted Grayson’s job and he didn’t make it a secret. Both Doug and Buffy have asked Kit to investigate and pledged to help her in any way they can. So she calls in Meg and Trevor to help her track down the killer. Even her dog Clarence makes a vital assist. Readers follow Kit and her friends all over D.C. as they chase down clues to prove Winston’s innocence and try to catch the killer. It is quite a clever tale. There is a lot of circumstantial evidence against her future father-in-law and his only alibi is Buffy. Ms. Shogan has filled this story with many twists that keep the plot moving right along. The subplot romance between Doug and Kit and dealing with his parents brings humor to the story. All four characters evolve over the course of the story. I didn’t like Buffy at first but by the end she was starting to grow on me. I really enjoyed getting away from the Capitol to a new D.C. location. Even though she didn’t have much clout in the place Kit was determined to make the police listen to her. The way the mystery played out was logical and pure Kit. She can be quite convincing and with Meg by her side pretty funny too. 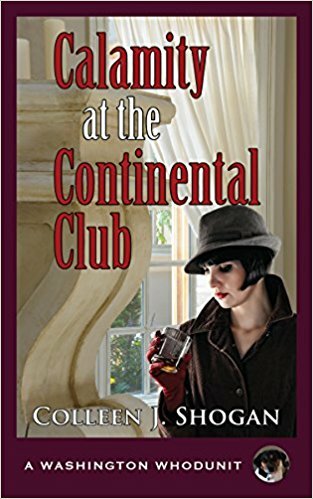 The way the author sets each scene gives us the treat of virtually “seeing” not only the Continental Club, but the Smithsonian and the National Archives. She and Doug even take a quick tour of Mount Vernon, a place our family visited in the late 90’s. Her words transported right back there. Each story in this series tops the last, all 3 are great reads. As before Colleen Shogan’s knowledge of D.C. shines brightly in this story and again I didn’t want the story to end even though I loved the ending. Nothing like a convenient murder to relieve those awkward in-law situations! Thank you for hosting Colleen Shogan and her latest book on your blog. As one who has worked within the government regime I am drawn into any book that relates to the activities with government ties. Having worked in D.C. for several years, I love reading books set there. This series is new to me, and I can’t wait to start it! I like that time period. I imagine Buffy is a pain to deal with. Makes for some great scenes for readers. I like that the book takes place in Washington DC. Sounds like an amazing read. Adding to. Thank you for hosting my tour!!! Interesting plot – something different. Definitely going to put this one on the TBR list. Have you always written Mystery books? I love Mysteries!